As more and more start receiving their Medical Marihuana Facilities Licensing Act (“MMFLA”) pre-qualification, choosing a cost effective grow facility is becoming increasingly difficult. The best MMJ grow facilities in Michigan = are often quickly snapped up by real estate speculators, usually before a municipality decides to even “opt-in” to the MMFLA. As a Michigan cannabis business lawyer , I represent several of these real estate speculators, who use their advanced political knowledge, deep pockets, and even a bit of guess work, to tie up the best Michigan cannabis grow facility properties. Due to the high price per square foot of medical marijuana grow facilities in Michigan—where $100 SF is common place, some growers have decided to seek out a less costly alternative. For some, this means a greenhouse, which can be built at a cost of roughly $40 / SF, though even these involve significant build out, equipment and utility costs. Not to mention, the quality of greenhouse grown medical marijuana is generally not seen as up to par with other indoor growing, making it harder to sell directly to medical marijuana patients. There is another, often overlooked, option that allows for much less expensive build out, equipment and maintenance costs—outdoor growing. Growing cannabis outdoors in Michigan eliminates the need for a lot of costly equipment, eliminates the need to pay six or even seven figure annual utility bills, and eliminates the need for purchasing buildings at $100+ SF. It can also produce much higher yields, which means less time and effort and more bang for your buck. There are some downsides to growing medical marijuana outdoors in Michigan. The first and most obvious is that it gets pretty cold here in the winter, and our climate does not support a winter crop. Thus, while your yields and plants can be much bigger during the grow seasons, they are non-existent come January or February. The second downside is quality. Greenhouses suffer a similar weakness. As medical marijuana patients become more “sophisticated” when purchasing marijuana, and recreational purchasers all wanting “the best stuff”, the direct to consumer market for mid-quality marijuana isn’t strong. But there is one cannabis sub-market that is growing faster than most imagined possible—extracts, processed goods, and edibles. When making processed goods, you don’t need the “best” marijuana flower. In fact, a lot of processed cannabis goods are made from the trim of the marijuana plant, though trim often makes for poor quality extracts. Inexpensively grown outdoor medical marijuana is the perfect input for processed goods, and processed goods are quickly taking over the market. In more developed recreational states, they make up more than half of all sales, and this number is rising quickly. Whether an outdoor MMJ facility is allowed in the municipality where you want to locate your licensed MMFLA facility depends on that location’s municipal ordinance. Under the MMFLA, it is up to each local unit of government to decide whether to allow medical marijuana growing in the municipality, and what restrictions, if any, to put on these MMFLA-compliant facilities. That means that it is up totally up to each municipality to decide whether to allow outdoor commercial cannabis grows. be equipped with functioning locks or other security devices that restrict access to only the registered qualifying patient or the registered primary caregiver who owns, leases, or rents the property on which the structure is located. This is because the MMMA is a broadly applicable state law that preempts any local ordinance in conflict with it, while the MMFLA leaves it up to each local unit of government to decide what type of facilities to allow, how many of each type of facility to allow, and what additional requirements each MMFLA applicant must meet. The MMFLA gives broad authority to each locality, except that a local government cannot enact regulations on the price or purity of marijuana or otherwise contradict the state law. So where and how can I grow outdoors? On the state level, the rules that outdoor commercial medical marijuana grows must meet are minimal. One rule affecting outdoor cannabis grow facilities is the requirement that any grow facility must be located in an area zoned as industrial, agricultural, or unzoned. Another restriction is the requirement that there be a building adjacent to the cultivation area where drying, trimming and curing must take place. Other than that, and the requirement that the area must be fenced in and not visible to the public, the state-level restrictions are minimal. 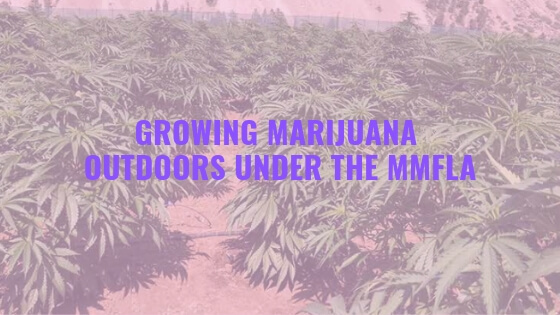 There are currently only a handful of townships in Michigan that allow outdoor commercial cannabis cultivation under the MMFLA, all of which have certain land use requirements as well as additional restrictions on the outdoor grow facility. The municipal restrictions applicable to grows mostly fall into one of three categories. The first is setbacks—all municipalities that allow outdoor grows that we reviewed require that the outdoor facility be set back from the property lines—some only as much as 20 to 30 feet, others several hundred feet. The second type of municipal restriction is lot size. Most municipalities require that the outdoor medical marijuana facility sit on property of at least one acre, and sometimes as much as five acres. Finally, at least one municipality places additional security restrictions over and above the MMFLA regulations, including requirements that the property be enclosed by fences at least eight feet high surrounding the entire facility as well as locked gates. There are opportunities for commercial growers under the MMFLA to have outdoor grow facilities in Michigan. The advantage of these facilities is that they don’t cost much to start up compared to indoor grows and they primarily feed the fastest growing cannabis sub-market—the market for processed marijuana goods such as edibles and extracts. The disadvantages are that they are often only allowed in out-of-the-way places and there is not much direct consumer demand for outdoor cannabis. Not every opportunity is right for everyone, but if you think commercial outdoor growing in Michigan is right for you, contact us today to discuss your options. 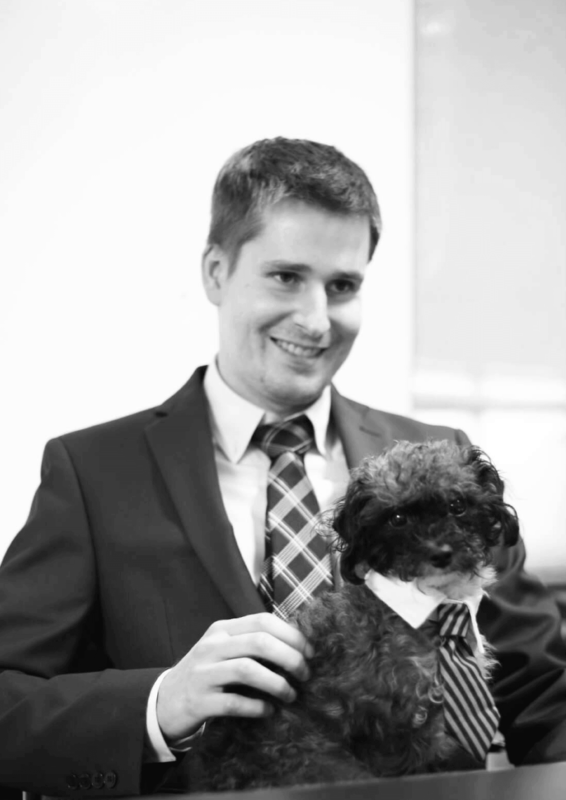 Mr. Roberts is the managing partner of Scott F. Roberts Law, PLC, a boutique business and real estate law firm focused on representing commercial cannabis facilities and real estate companies in Michigan. Mr. Roberts is a Michigan marijuana business lawyer and is scheduled to speak at several upcoming cannabis conferences in Michigan.